In today’s work places the zones for meetings, conversations and the exchange of ideas are vitally important. 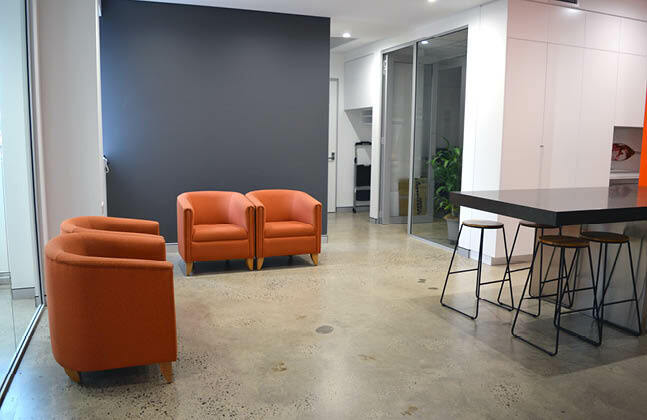 When designing office space, a place to stimulate creativity and foster integration, architects often reach for new, non-standard solutions – including resin floors. The desire for simplicity and Scandinavian design is expressed in the use of solutions that until recently were associated only with production facilities or warehouses. Industrial aesthetics can be obtained by choosing seamless floors consisting of a clear resin binder and coloured quartz sand granules or flakes, e.g. in shades of beige or grey. Covering the concrete floor with a thin layer of clear epoxy resin protects it against scuffs and damage from daily use, and at the same time exposese the natural substrate. This solution works well on large surfaces and when teamed with office furniture of a similar industrial feel, generates a striking visual that can stand the test of time. Differentiation of the floor finish allows for visual separation of zones with different functions. 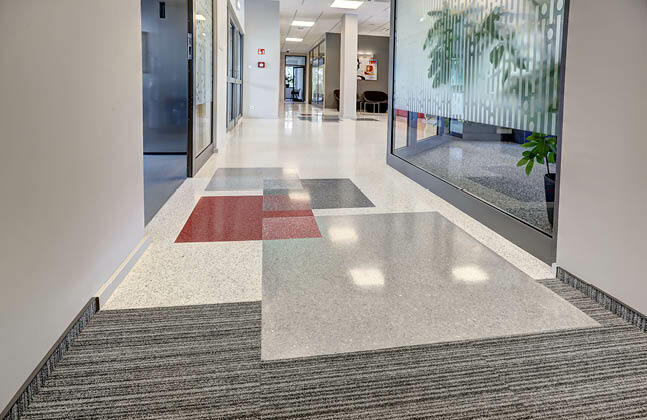 A resin terrazzo floor that consists of various colourful, decorative aggregates incorporated into the resin mix and later diamond ground to deliver a smooth finish is an elegant solution ideally suited to corridors, meeting rooms and large office spaces. 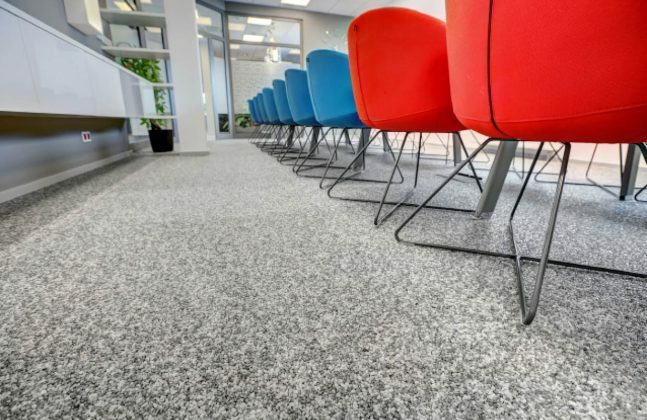 In other parts of the office that require silence and concentration, carpet floors that dampen the sound of footsteps are commonly used. Places at the interface between different materials are designed in such a way that the boundaries between them are blurred. 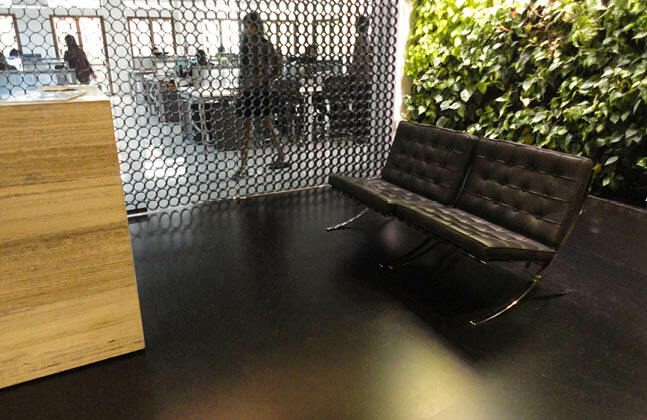 For this purpose, thin aluminium strips and graphic patterns can be used to aid the transition between the two spaces. 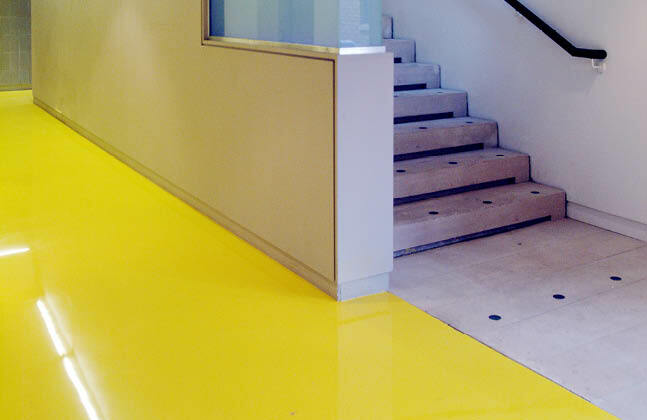 In the case of resin floors, modern technologies give architects almost unlimited freedom of design. As a result, the floor is not just a background and can become one of the main architectural elements that determine the character of a space. Such effects can be achieved by applying a bold colour or a non-standard, impressive texture, such as stone carpets. 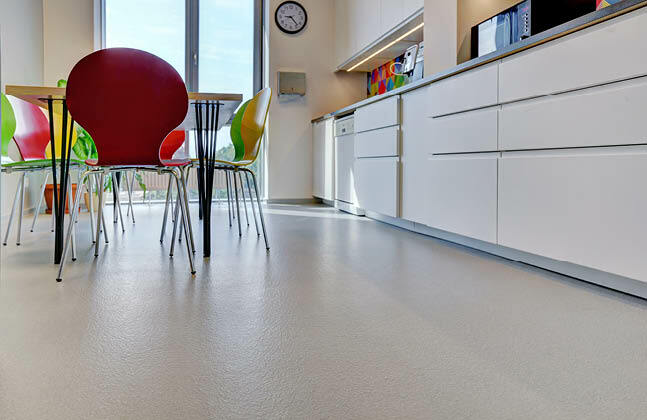 Smooth floors in shades of white or grey are an element often used in the creative industry, for example in advertising agencies or architectural studios. They create a modern, minimalist interior in which it is easier to focus and come up with new ideas. Contrasting colours, such as using light and dark hues, or using a combination of gloss and matt can generate stylish yet sophisticated spaces. Contemporary offices are not only a place to work, but also a determinant of prestige and a way of building the company’s image as an extension of the brand. Modern technologies allowing for non-standard effects, such as resin floors, are more and more often chosen by designers due to their versatility and visual attractiveness combined with excellent performance parameters.